I’m going to let me very obvious biases (prejudice for or against something – in this case, for something) come forward this week. An Argentinian newspaper, El Clarin, announced the [discovery] of three large birds in Mar del Plata, Argentina. I am Argentine, and I like birds, so of course I’m choosing to talk about this even though there isn’t yet a scientific paper to go with it. 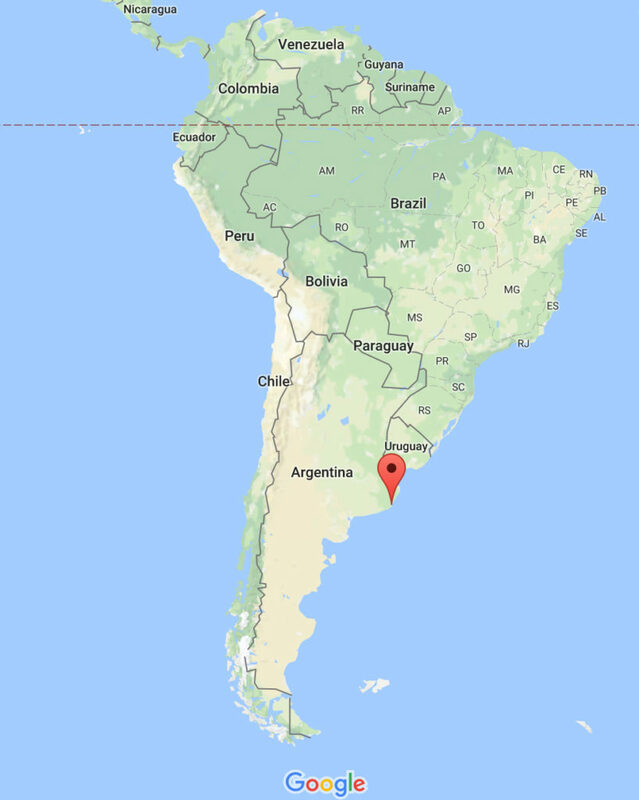 A map of Mar del Plata, Argentina. From Google. Paleontologists working in a canyon between Mar del Plata and Miramar found the bones of three different birds. One is a terror bird, one is a condor, and one is an eagle. They are all from 5.5-3 million years ago, part of the Pliocene epoch. 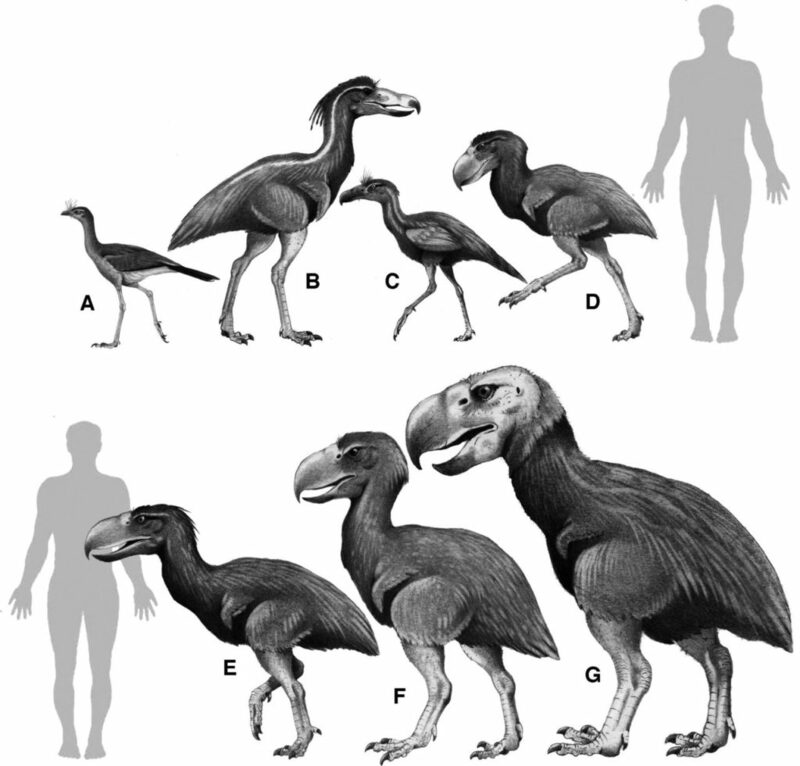 The terror bird is a juvenile of Mesembriornis milneedwardsi. This species is one of the phorusrhacids – a group of giant terrestrial predatory birds. This particular species was 1.8 meters tall. The phorusrhacids. A is the modern cariama, which is not a phorusrhacid, but is their closest living relative. B is Mesembriornis. From here. They identified the condor partially from a femur, which is 33 centimeters long! Lastly, the eagle. It’s thought to be bigger than the modern crowned eagle. The crowned eagle is around 3 feet long and has a wingspan of 6 feet! 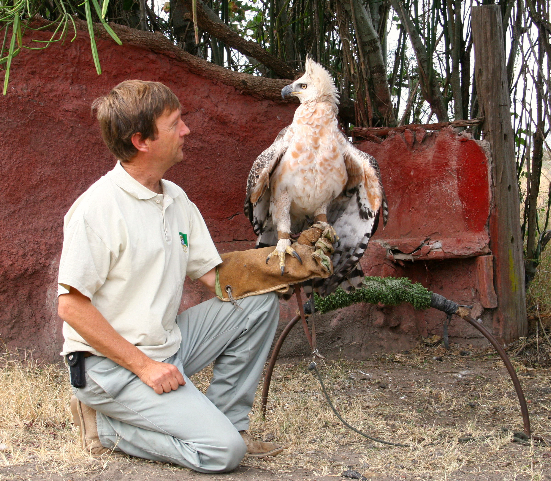 A crowned eagle with a person (Simon Thomsett) for scale. From here. The canyon where these fossils were found is continuously eroded by waves. The more the waves hit the rocks, the more fossils come out. Paleontologists there say that they never go home empty handed, so they’ll have to keep their eyes peeled for more specimens.